Everyone has a unique work style that leads him or her to approach challenges in a different way. Do you lean on your team for support or would you rather shoulder all the responsibility yourself? Do you prefer to coach individuals? 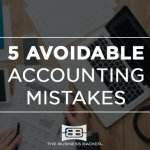 Maybe you prefer to provide firm deadlines and ask for them to be met with efficiency and accuracy? No matter how you identify as a leader, there is a way to tailor your intuitive skill set to solve the problem at hand. Taking the first step to understanding what kind of boss you are already shows the instincts of a great leader. Read through these leadership types and pick the one that you most associate yourself with. Remember: This isn’t just about how you see yourself, but how your employees view you as well. Once you’ve uncovered what kind of boss you are, learn how to adapt to different situations or how to adopt another leadership style that can better manage different scenarios. 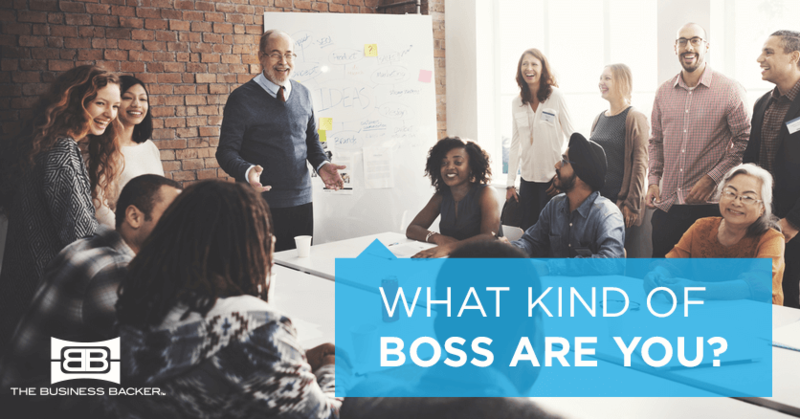 Once you’ve identified what kind of boss you are, you can start piecing together the best way to problem solve and be a strong leader for your staff. Acknowledge your weaknesses, but don’t allow them to hold you back. Take the steps necessary to improve and adapt your leadership style with these tips. You’re really good at putting your team first. You are patient with them and encourage them to learn along the way. You support them by coaching their growth as professionals. However, if someone does not want to be coached, you may not get much accomplished. This approach has the potential to hinder projects, especially ones that are time sensitive. Set a timeline for yourself or your team to help stay on track. If a staff member shows signs of not wanting to be coached (disengaged, apathetic to your attentive feedback), consider taking another approach. Sometimes the best kind of coaching is no coaching at all. You are eager to initiate a plan and even more eager to get the results. When problems arise that require immediate assistance, your leadership style can help save a lot of headaches (and maybe even some money!). However, your fast-paced thinking may be too speedy for certain occasions, hindering the results you crave. You might end up micromanaging your team to make sure everything is getting done, which oftentimes has a negative effect on your team’s attitude. Ask yourself if the situation you are facing would be better approached with speed or accuracy. If you decide to take a slower pace, take the time to listen and absorb so you can make informed choices. Leadership is more of a one-way street to you, which could be both positive and negative. If you have the right staff one that trusts and respects you, you’ll be able to work through any problem with speed and efficiency. Your confidence and calm demeanor will make your team feel secure and supported. Unfortunately, that sort of command can rub some people the wrong way. In a non-crisis situation, a commanding boss can appear as overzealous or even tyrannical, which does not inspire compliance from employees. Keep morale high by addressing issues as either a crisis or non-crisis. Keep your commander hat on for crisis-related scenarios, but consider adopting a different kind of leadership type for non-crisis events. You’re great at seeing the big picture and how all the moving parts of your business fit together. You excel at shining a light on the path for employees so they can feel safe in knowing where the business is heading. On the flip side, if your vision is too over-the-top and potentially out of reach, your employees can become disengaged or unmotivated because they can’t clearly see the end goal. Try to place stepping-stones on the way to the big idea to help break the path into more digestible pieces. While you know you’re the boss, you also take a more democratic approach to how you work with your team. You see working as a group as a great opportunity to use a lot of brainpower to arrive at the best solution. Your staff sees their perspectives put into action and they respect you for taking their opinion into account. This inclusive method of leadership can backfire if your staff lacks the knowledge or know-how to make educated contributions to the discussion. If their understanding of the problem or method is lacking, that team-based contribution weakens. Consider pairing your embracer style with a little of the coaching style to ensure that each employee is knowledgeable and ready to contribute. Your leadership comes from the heart — you like working closely with your team to help them find the best way and are very considerate of everyone’s feelings. 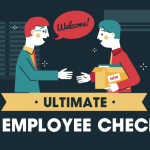 You’re the best boss to have when problems arise and morale drops. There are times when you might be too nurturing and dependent on your staff, which means you could be taken advantage of. Complement your management style with the visionary method. Paired together, you can share your positive ideas but with the big picture in mind so your staff doesn’t see you as weak or lacking direction.